This same type of analogy can be applied to the restaurant industry: if you open a new casual dining establishment, but no one is around to witness it, does it succeed? Many people believe that the most difficult aspects of being a restaurateur are location, menu, customer service, and ambiance (to name a few). And while all of these components are positively vital to business success, the real challenge lies in maintaining a sustainable brand. If you want to gain a competitive edge, use these three simple strategies to build restaurant brand awareness. In today’s digital world where anyone can be an online critic, ratings and reviews have never been more important. And with 84% of people trusting online reviews as much as personal recommendations, restaurant owners should be leveraging them as strategic marketing tools. If you haven’t already, claim your restaurant listings on local business directories and third-party review sites such as Yelp, Google, Facebook, and OpenTable. Not only will you be able to get a better understanding of customer opinions and experiences, but you’ll also have the ability to easily monitor and optimize your online reputation. 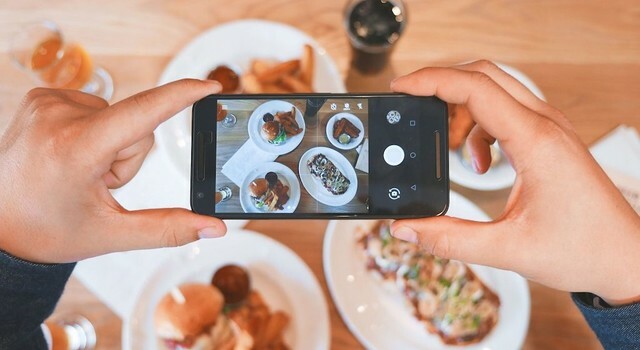 Social media gives restaurant owners the opportunity to set the tone and vibe of their establishment, create new connections, and maintain a loyal customer base. But it’s so much more than simply posting on Facebook or Instagram a couple times a week -- it requires a creative, thoughtful strategy that engages and inspires. For a growing number of QSR franchises and fast-casual dining establishments, audio branding has become a key ingredient for success. And for many reasons! Studies have shown that the right in-store music has the power to influence everything from purchasing decisions and perceived wait times to employee morale and productivity. So, how do you select the best restaurant music for your business? For starters, it’s imperative that you know your business objectives. For example, if you’re looking to turn tables, you’ll want to play fast-paced restaurant music rather than slow tempo music. Similarly, if you want your patrons to linger and enjoy conversation among friends, keep music at a desirable volume.